Last year as part of our strategic planning, we invited several student focus groups to provide us insight into what they felt was positive about their school experience and what they would recommend the District change to improve their experience. What we learned from the student focus groups last year helped us craft a plan that is actionable. Hearing from students about their school experience is rewarding and enlightening. This month, I have the opportunity to connect with student focus groups and student leaders at all of our schools. I am meeting with fifth grade students, seventh and eighth grade students, and student council leaders at the high schools. (Depending on the time of day, I bring them doughnuts or pizza as a thank you for their time). How would you describe your school to a friend? Which class do you learn the most in? Why? What do you wish the school would do different to prepare you better? 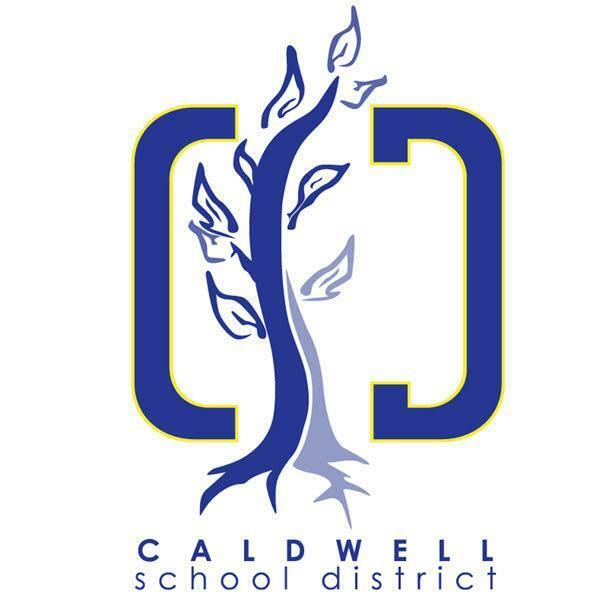 If you were king or queen of the world what what would you make happen for Caldwell School District? Their answers are are inspiring as I hear stories of caring teachers who notice when they struggle in school, or life, and who also challenge them do their best. I also appreciate their sharing of what they would like to see added, expanded, or improved. We currently offer full time kindergarten for all students at two of our elementary schools. As we compare academic results of students attending full time with students attending half time kindergarten, the difference is clear -- more time receiving quality instruction means more learning. These results are challenging us to make good on our commitment to equity and access for all students. We believe our youngest learners have greatly benefit from participating in full time kindergarten. I am thrilled to announce that Caldwell will offer free full time Kindergarten for all Kindergarten age children starting this fall. 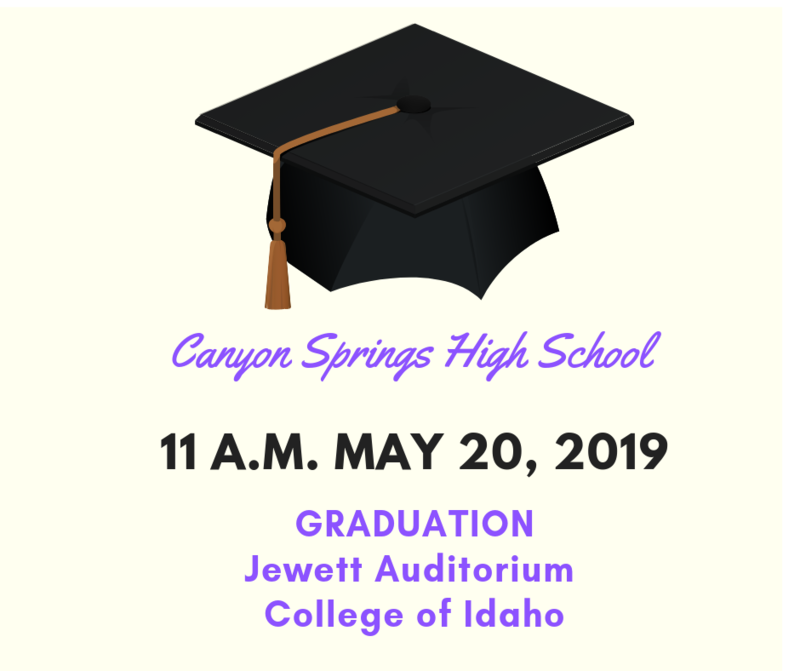 This opportunity is made possible due to the Idaho Legislator’s support of Governor Brad Little’s proposal to double the investment in early learning. I believe that if a child starts ahead -- has access to quality educational experiences at an early age -- s/he will stay ahead as they travel along their educational journey. We often talk of academic measures and the importance this plays in the decisions we make. However, there is another extremely important aspect of education that impacts a child’s learning; a child’s belief in him/herself. Through our many conversations, we have evidence that our full day Kindergarten students have demonstrated growth in their level of confidence, perseverance, and self-efficacy. We have partnered with experts at the Lee Pesky Center to provide support for our teachers and our parents to prepare for this change. We will also be working with parents who are concerned about their five-year-old child attending school all day. There will be options for parents who would prefer their child attend half day. 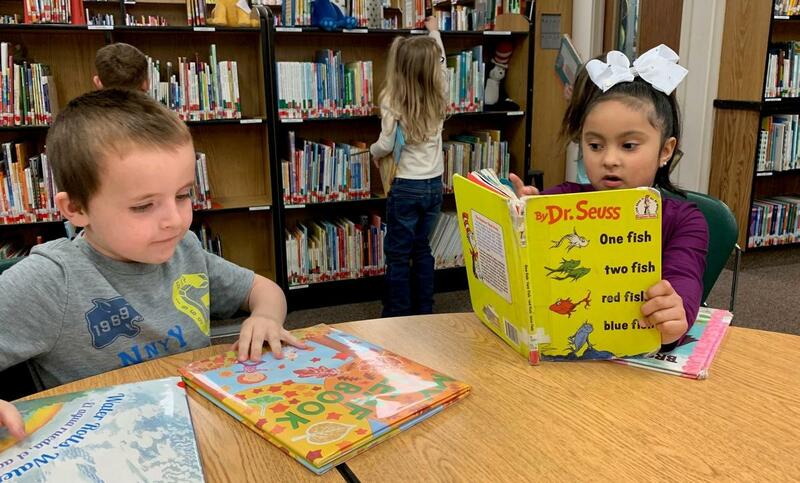 Our Board of Trustees set a goal to improving early literacy so our students are ready by third grade to shift from learning to read to reading to learn. Adding a half year of school for our youngest learners, will be impactful. Announcement for Early Childhood registration: please help us get the word out to parents of 3 to 5 year olds who are making choices for Kindergarten and preschool next year. Our registration day is May 10! We are committed to providing choices and opportunities that support bright futures for our students. To support that next year, our secondary schools will add a new Project Lead the Way (PLTW) electives. Electives that will be added to the middle level curriculum include App Creators, Computer Science for Innovators and Makers, and Medical Detectives. At the high school level, we will be offering Biomedical Science. All of these program are designed to offer students hands-on, engaging activities centered around problem-solving projects. The Board approved the 2019-20 School Year Calendar at its April meeting. The calendar is similar to this year. 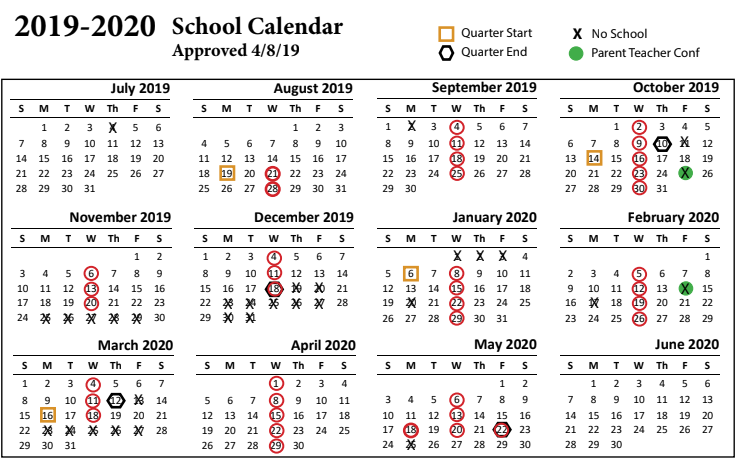 Key dates: School starts Monday, Aug. 19, 2019 and ends Friday, May 22, 2020. The full calendar is attached to this email. I want to thank all the parents who participated in our survey. One common theme among the written responses was about Wednesday early release and a desire to see it shift to another day in the week. Nearly three years ago, we implemented this professional development time so teachers would have time to review student data, academic interventions, and coordinate efforts district-wide in the implementation of curriculum. Several districts across the Treasure Valley have also implemented early release time for these same purposes. The decision to hold early release on Wednesdays was because this was the day that was least impacted by sports, holidays, etc. We also benefit from the fact that surrounding districts have also selected Wednesday as their early release day. This gives us an opportunity to coordinate with them as well. Please note the end of year schedule. Friday, May 10 is the preschool & kindergarten registration! Empower the whole child to achieve personal goals and strengthen our communities. 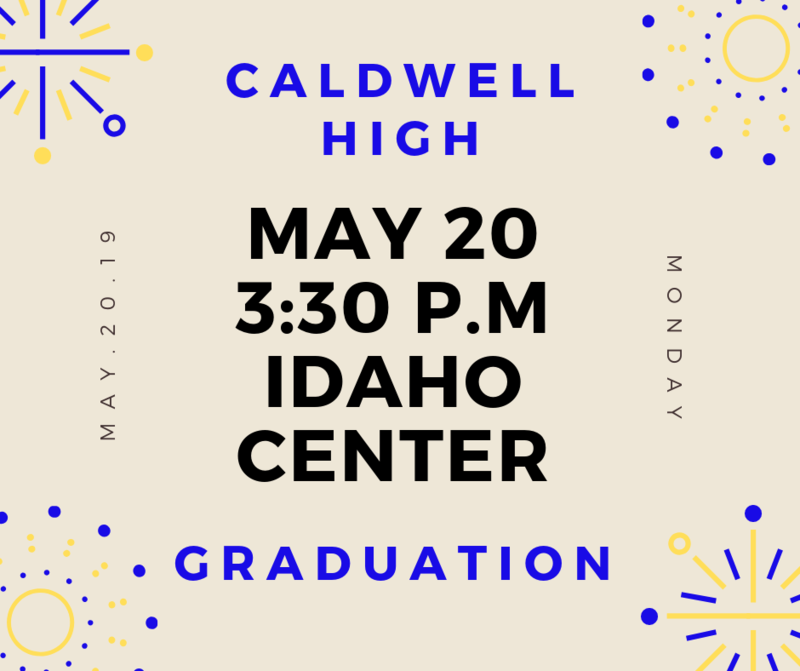 Caldwell School District is a safe and supportive learning environment where all students graduate ready to pursue their personal, post high school goals as self-motivated, productive members of their community. Our students will develop critical thinking skills. Our students will be literate. Our students will value themselves, others, and their community. Our students will learn the value of social interactions and build positive relationships. Our students will learn in and contribute to safe and supportive schools. We will respect the voices of students, families, and community in the educational process.